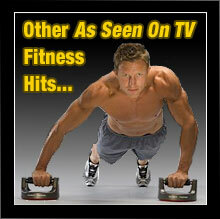 At TV Gyms our goal is to present you with the highest quality home fitness equipment available on the market. We’re proud to present home workout solutions from popular exercise manufacturers like Total Gym, Bowflex, and Livestrong. By providing a venue for top fitness equipment manufacturers to showcase their products we hope to help you find the exact home fitness solution you need to get into shape and stay that way. In addition, we also endeavor to present you with a wide variety of exercise equipment in order to ensure that you can find the perfect workout solution to fit your budget. 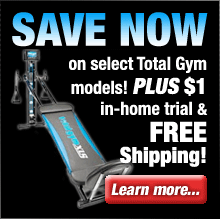 Take some time and browse our site to find the perfect exercise solution for your home or office.